Mike Ledger started Westate Mining in 2004, motivated to fill a gap in the marketplace. His drive and commitment to customer satisfaction has resulted in the rapid growth of the company. With over 35 years’ experience in the mining industry, his interaction with earthmover tyres and rims for both supply and repair, Mike knows all there is to know about designing and manufacturing solutions to site specific issues. Along with his extensive experience in the engineering and metal fabrication industry, Mike sat on the Australian standards committee for the AS4457-205 Earthmover Machinery/Off Highway wheels rims and tyres – Maintenance and repair. 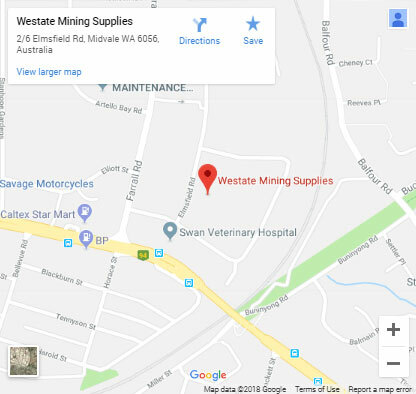 Westate Mining has a thorough understanding of what is needed to keep remote operations fully supplied. Over time we have built an enviable business specialising in servicing mining, resource and industrial companies working in remote and challenging areas where high production priorities demand a high level of certainty around supply and delivery. We ensure our clients’ downtime is kept to a minimum through prompt service delivery, excellent customer service and industry-specific products designed to lower worker injury rates.